Award-winning British podcast The Allusionist is a word-lover’s dream. Ever heard of Toki Pona (the smallest language in the world) or indefinite hyperbolic numerals (zillions, jillions or squillions)? Have you made fun of Western yoga fans who love saying ‘namaste’, or wondered about the best opening lines on dating apps? Helen Zaltzman is here for you. 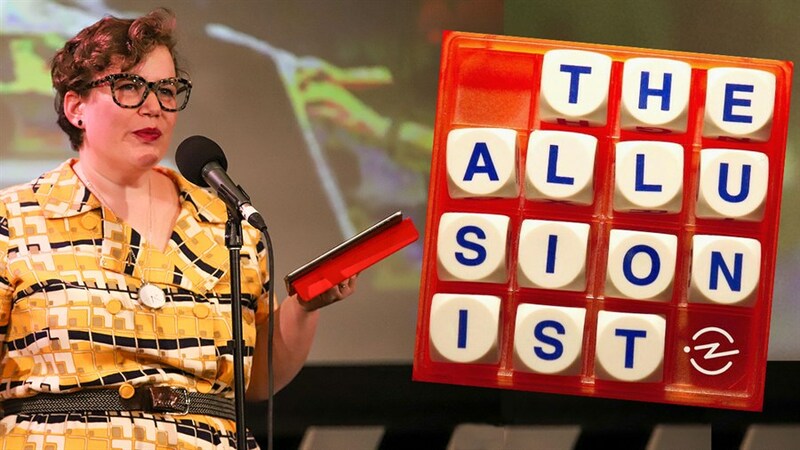 Since launching The Allusionist in 2015, Helen has been rumbling with language with infectious verve and a generous helping of pop culture. In this Canadian debut, she brings her irreverent, effortlessly informative show to our stage with live musical support from collaborator Martin Austwick. Set aside those Sunday crosswords and join her for a fascinating adventure into the world we make with words.